BEFORE the fateful night of December 3, 1971, when Pakistani submarine PNS Ghazi was struck and sank off the coast of Vishakhapatnam in the Arabian Sea, no serious proposal of establishing a museum exclusively for naval trophies and exhibits had been mooted. But after the incident, various items/parts belonging to the sunken enemy submarine required an elaborate and organised display for public view. It was felt that a naval museum would not only enable the public to appreciate the historic act of destruction of an important instrument of war of the enemy, but also provide a glorious glimpse of those ships which had served our Navy magnificently. PNS Ghazi still lies several metres below the sea surface with all the dead bodies on board, close to Vishakhapatnam. For some reason, it was decided not to float the vessel or to remove the bodies. It was not practicable for ordinary skin divers or deep sea divers alone to carry out the arduous task of removing various retrievable items from the wreck and bring them ashore. Therefore, a costly alternative of lowering a marine bell for this purpose was employed. This enabled a group of underwater specialists to lower themselves on the submarine entrance hatch, enter and search through the key compartments. The group was successful in bringing out items like the ship’s log book and the tape recorder with tapes containing Bhutto’s famous speech. These, along with the vessel’s lifebuoy that was found floating, were displayed prominently in the Eastern Naval Command when I was there in 1972. With the decommissioning of India’s first aircraft carrier INS Vikrant in 1997, the clamour for converting the same into a naval museum got louder. The majestic ship has steamed a total of 4,99,066 nautical miles, about 15 times around the world. Finally, with the cooperation of the Maharashtra Government, the 220-metre-long Vikrant has been towed close to the oyster rock, off the Colaba causeway, Mumbai, and converted into a permanent naval museum. 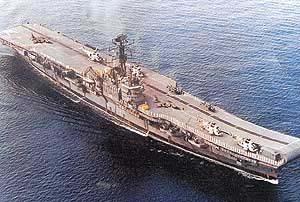 The main public attraction of Vikrant is the flat, expansive length and breadth of the flight deck, deck-landing mirrors costing crores each, a giant hanger lift which can lift hundreds of persons at one time and the ski jump arrangement fitted in lieu of landing and arresting gear on the flight deck. Further additions to these are likely. 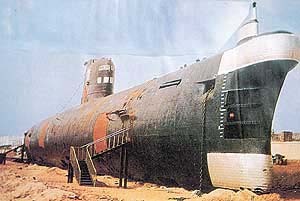 The second naval museum is at Rama Krishna Beach on the east coast near Vishakhapatnam, where the USSR-built submarine INS Kursura has been beached with all its equipment and intact hill. The submarine was commissioned on December 18, 1969, and on completion of its operational service, it was decided to beach her about 150 metres from the shore line, parallel to the sea shore, in April, 2000. The operation took 18 months and cost about Rs 4.5 crore. It was an uphill task. It is rare for a submarine to be physically hauled and jacked up 18 feet. She now rests on the 85-metre-long foundation. Fifteen pedestals and concrete blocks have been padded with neoprene rubber to absorb top pressure. Strong steel angles have been welded to the pressure hull, one either side, so that the vessel may not tilt due to sea storms or hurricanes. This location was selected after a detailed survey of wind and tide by hydrographers. Interestingly, this is the first submarine museum in South-East Asia. In the USA, there are two naval museums, while Russia and the United Kingdom have one each. Utilisation of the ship’s hull itself as a museum ultimately pays back the cost of maintaining it and provides to the public a glimpse into the country’s naval might and maritime history. Besides, these museums are extremely useful for familiarisation/training of the new naval entrants.